An everyday front-open abaya that can be dressed down or glammed up. 'Ruffles on the bodice, enhance the beauty of the garment as well as provide the loosening required. 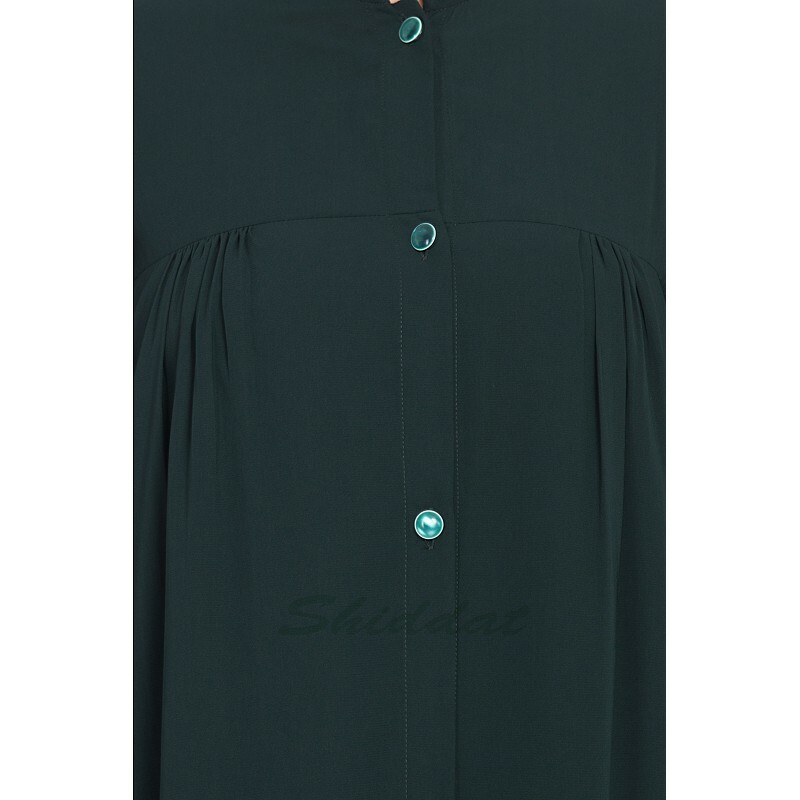 'Matching buttons allow you to wear the Abaya open or closed for more coverage. This article is made of Nida (Matt Finish) fabric which is very Soft, Breathable, Light Weight and easy to maintain. It gives a good fall to the garment. Cash on delivery as well as online payment for this party wear umbrella abaya is available. Also free shipping to any part of India.